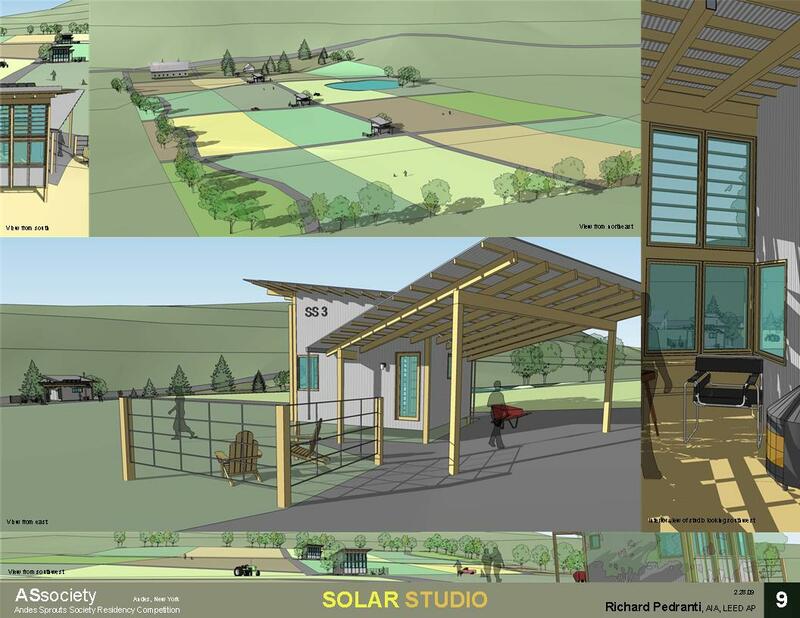 The project was an ideas competition for a series of freestanding artist in residence structures on the Andes Sprouts Society Farm. 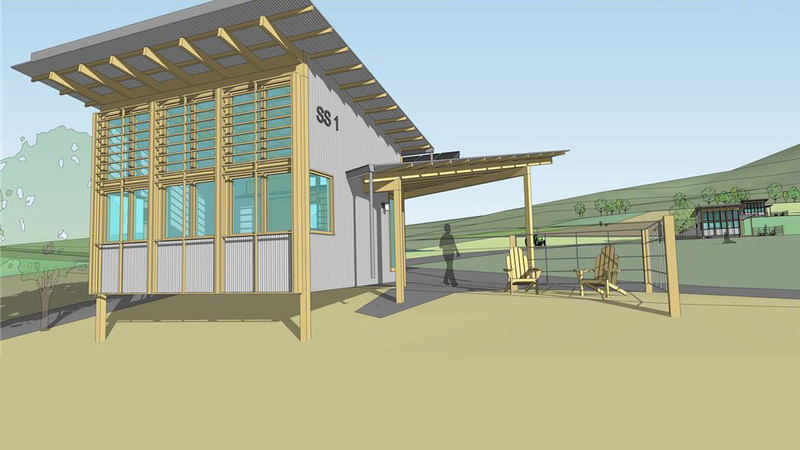 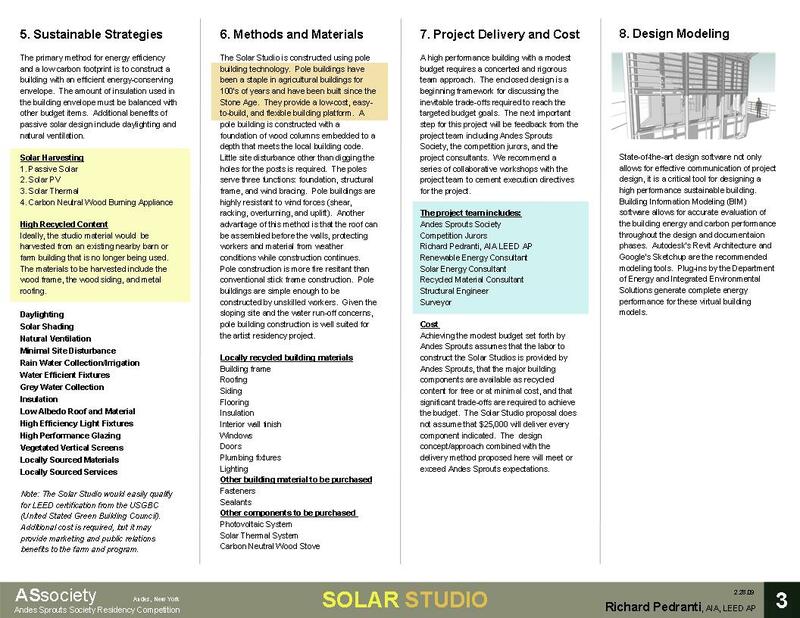 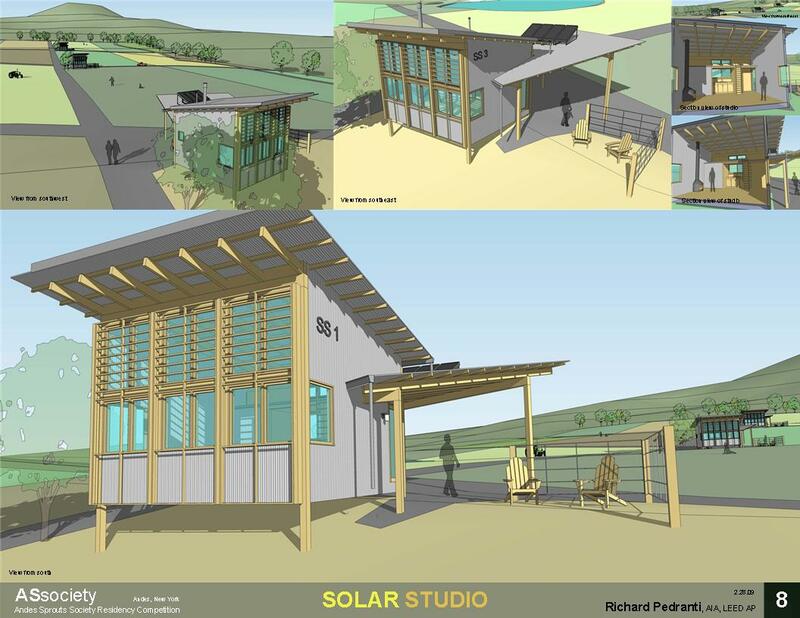 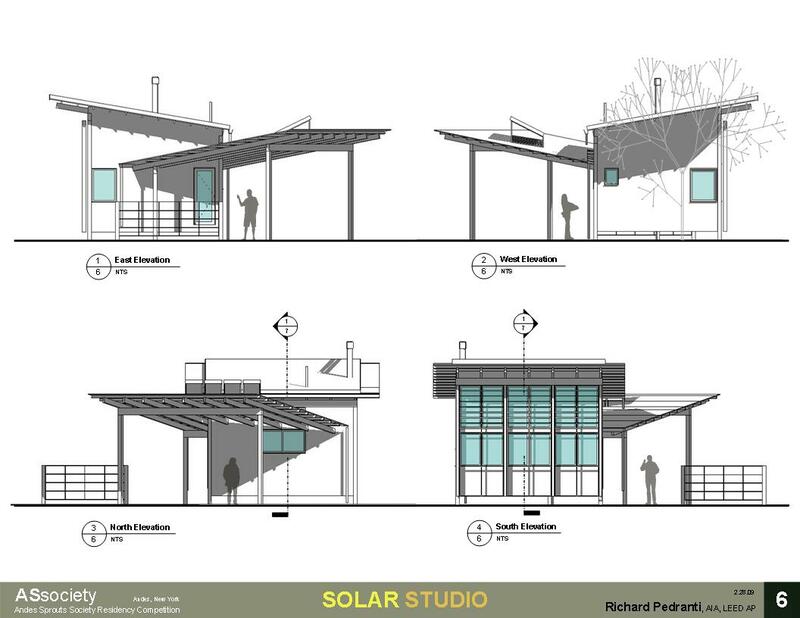 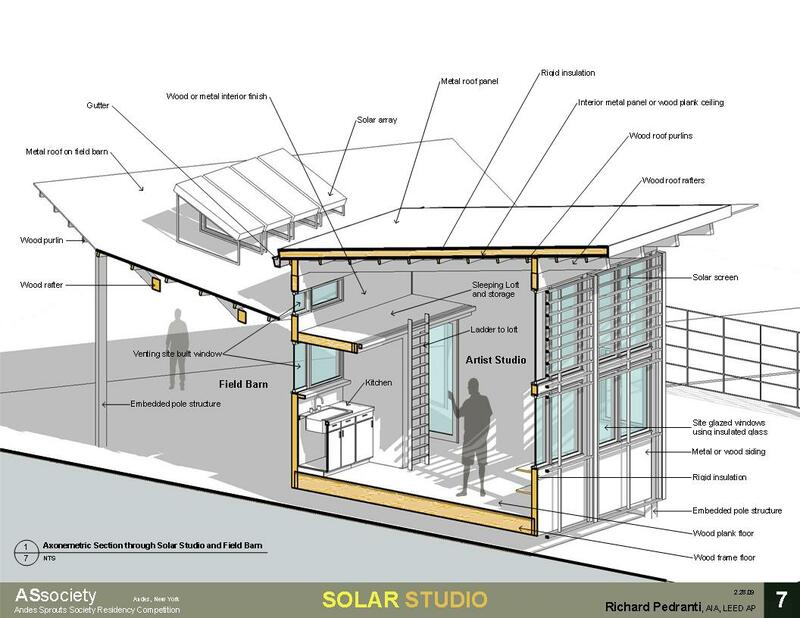 Sustainable strategies include passive solar design, recycled content, rainwater harvesting, and renewable systems. 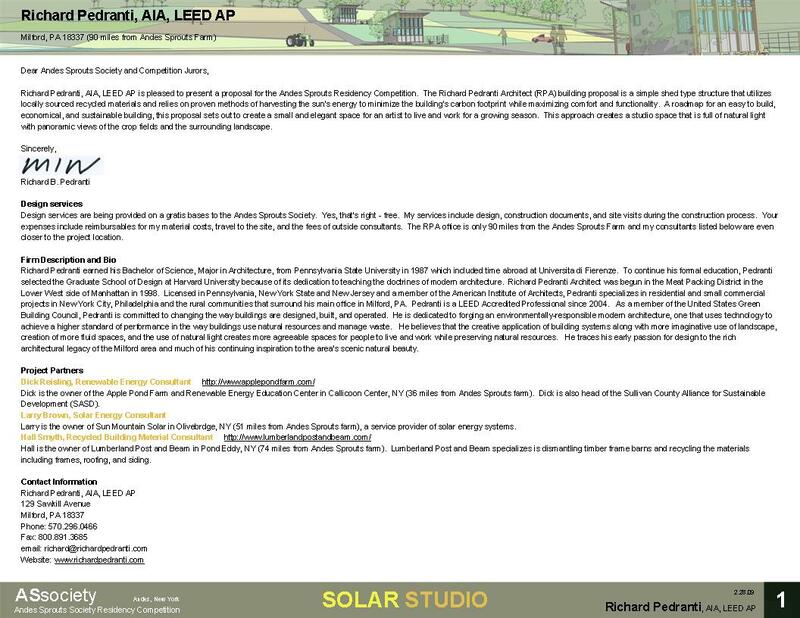 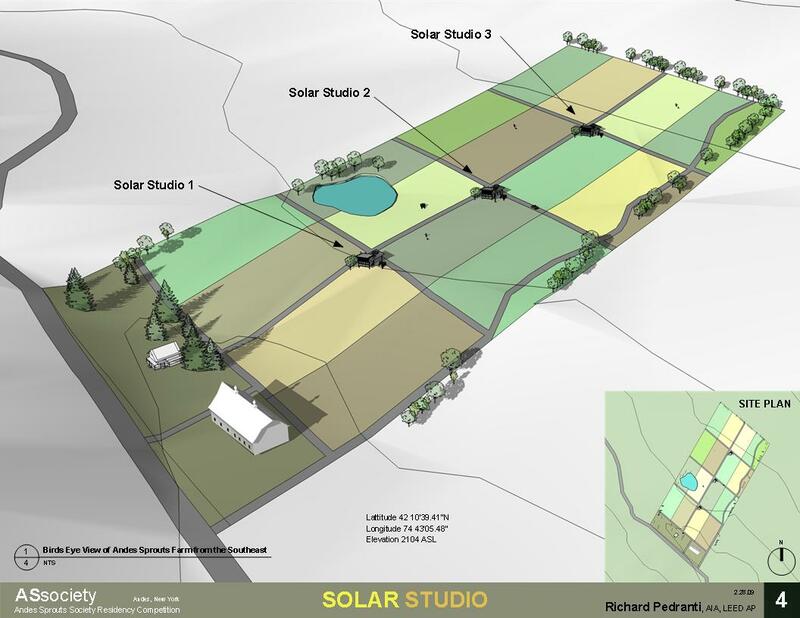 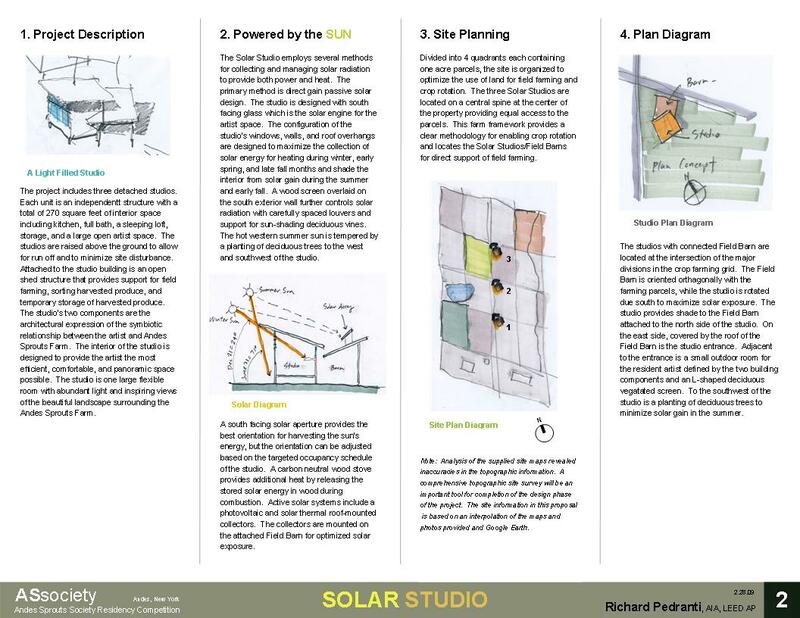 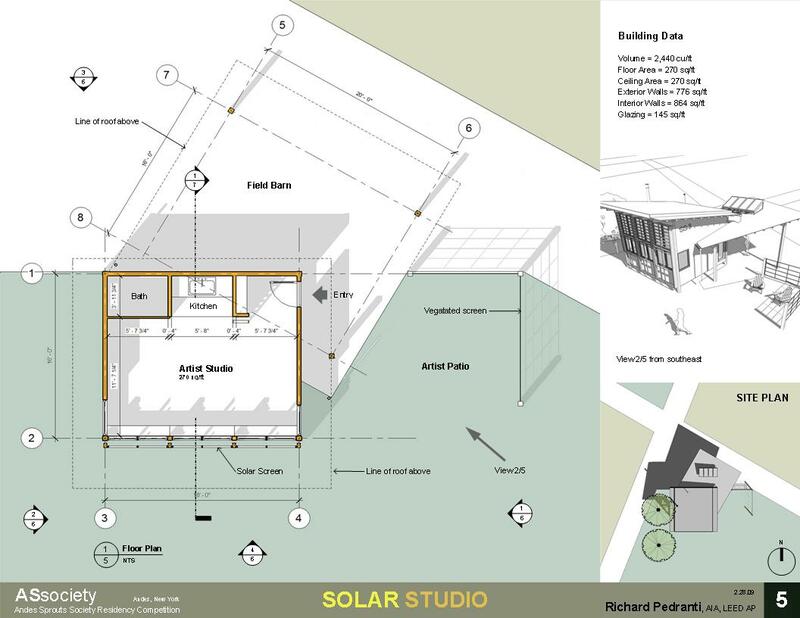 The Solar Studios are off the grid net zero buildings.